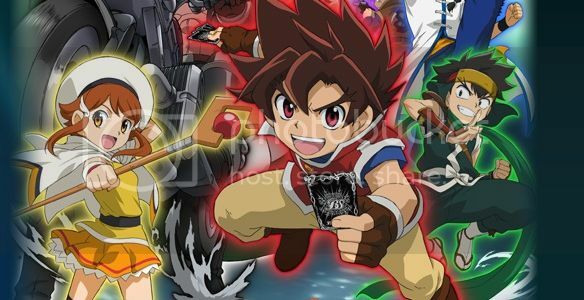 Listen – Episode 1 of Battle Spirits: Sword Eyes from Sunrise with the opening “Wild Card” by Hiroshi Tada. It sounds like this show’s concept was generated via mad libs: It’s a ____ style show, but it’s set in _____ and the characters ride on _____ and the main character has the same origin as ______. I think that the people who make the TCG anime just have to mix it up a bit to stay sane.